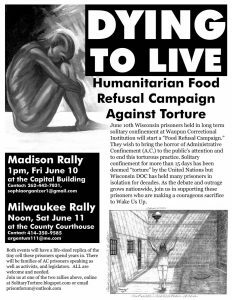 This week, you’ll hear an interview with Ben Turk about ongoing prisoner hunger strikes at Waupun Correctional Institution in Wisconsin. The hunger strikes have been running since early June and have involved almost a dozen prisoners, who have faced repression including force feeding, further isolation, transfers and beatings for participation. The hunger strikes were initiated to protest the use of long term solitary confinement at the institution. For the majority of the show, IWOC activist Ben Turk talks about the cases of the men involved and the circumstances they’re facing. 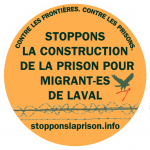 We also speak about the upcoming National Prisoner strike on September 9th, 2016 and how to get involved in that. On July 2nd, Asheville Police officer Tyler Radford shot and killed a 35 year old, African American man named Jerry Williams at the Deaverview Apartments in Asheville. 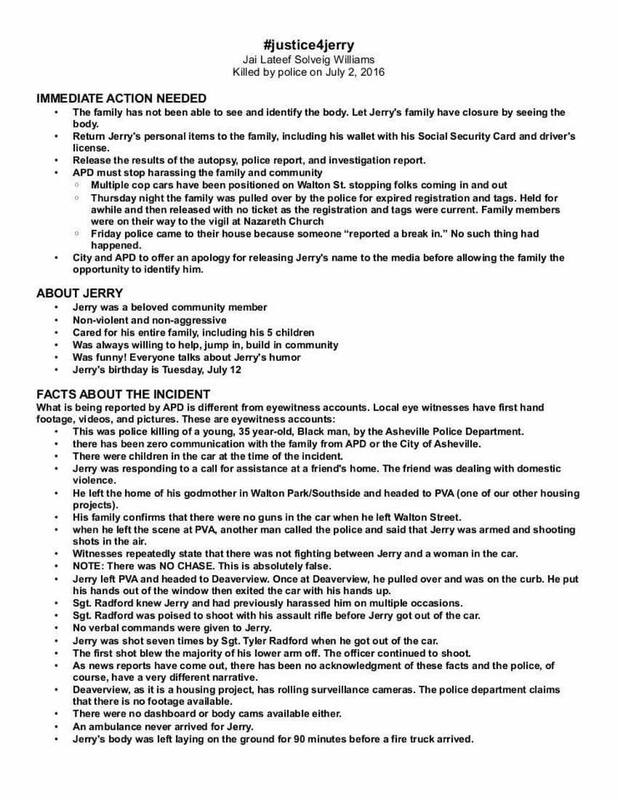 The following week has seen daily demonstrations and vigils in support of Jerry’s family, and the black communities of Asheville and in solidarity with protests against the killings of Philando Castille and Alton Sterling by police in Minneapolis and Baton Rouge, respectively. Today there will be three more events capping off the week of resistance that listeners are urged to attend if their hearts are in it. 5 PM – Car Ride Through – Riding in Solidarity from Pisgah View Apartments to Deaverview apartments. 6 PM – Vigil at the Police Department in Pack Square in downtown Asheville. Manuel Salas, a vegan animal rights activist who was arrested for arson (unrelated to his animal rights activism) a few months before his 19th birthday, is scheduled to be released from prison on August 20th, 2016 after more than a decade in prison. In addition to his initial 12-year sentence, Manuel was sentenced to an additional 4.5 years after being charged with felony criminal damage to property and disorderly conduct stemming from an escalation of a protest against the facility for denying him vegan food. 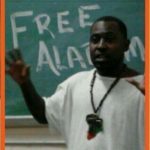 Manuel has been active in struggling for vegan rights within prisons during his incarceration and is the founder of the National Animal Rights and Anarchist Network. Manuel’s writing was featured in Issue #2 of Wildfire. Manuel is requesting support as his release date approaches. Please take a moment to send Manuel a card of encouragement and include your contact information so he can stay in touch after his release. Or donate some money to his release fund. You can find the link up on our blog post. “Hello to all. My name is Manuel Salas. I have been an Animal Rights activist and vegan for a long time. I have helped to make positive changes to the prison vegan diet. I’m going to be getting out of prison in August and I’m looking to get in touch with some new people. In a way I’m looking for some friendly support. I’m into the understanding that life is a gift and that we must get all we can out of it. I’m looking for friends who understand that everyone in life sometimes makes mistakes but can grow from them. There are also those, like me, who have made sacrifices for their friends’ in my case those friends are not humans, but the animals I fight so hard to save from their oppressors.